SALVADOR, Brazil – Daniela Souza Batista, age 32, was in her third month of pregnancy when she first noticed she had symptoms of Zika virus. It was late spring 2015, early in the Zika outbreak and months before the possible link between the virus and microcephaly—a condition in which an infant is born with an abnormally small head—was discovered, and Daniela had no idea about the risk to her baby. In November, after Brazilian researchers found the first evidence suggesting higher rates of microcephaly among babies born to mothers infected with Zika, the government quickly declared the outbreak a national public health emergency. And in early 2016, the WHO declared it an international one. By that time, Daniela’s daughter, Raquel, was nearly three months old. Daniela had learned that her baby had signs of microcephaly through an ultrasound taken during her eighth month of pregnancy. After Raquel was born, the condition was officially diagnosed. “We never think this can happen to us. It looks like something so far away, something on the news. But no, it happens,” says Daniela, who lives in Salvador with Raquel, her nine-year-old son Emanuel and her husband, who works as a bus driver. “I’ll have to go to consultations and take her to physiotherapy. My husband will support me, but I won’t be able to work,” she adds, saying that this will prove an economic hardship for her family. Ms. Reis was able to make the choice to postpone her pregnancy because she had access to quality sexual and reproductive health options and information and family planning services. But not all women in the areas impacted by Zika have the opportunity to make this choice. According to the United Nations Population Fund, 33 per cent of women of reproductive age in Latin America and the Caribbean who would like modern contraceptives do not have access to them. An estimated 1.5 million Brazilians have been infected with Zika virus since May, making it the country hardest hit by the outbreak, but the virus is spreading throughout other parts of Latin America and the Caribbean as well. Colombia reported its first case in October, and by January more than 16,000 people had been diagnosed. El Salvador has almost 4,000 reported diagnoses, and cases have also been documented in countries throughout the region, from Mexico to Paraguay. However, Zika virus has relatively mild symptoms, including fever, rash and conjunctivitis (red eyes), so many cases likely go undiagnosed and exact incidences are hard to pinpoint. People primarily contract the virus by being bitten by an infected Aedes Aegyptus mosquito, but the U.S. Centers for Disease Control and Prevention has reported that it may also be transmitted sexually, further underlining the urgency of improving access to contraceptives and sexual and reproductive health services in affected areas. In addition, it is critical that families like the Batistas have the support they need to raise children with microcephaly, who may face developmental delays, intellectual disabilities, seizures and problems with vision, hearing and balance. In January alone, the Perinatology Institute of Bahia (Iperba), where Raquel was delivered, registered six cases of infants with microcephaly, all born to mothers infected with Zika virus. Previously, the hospital had reported no more than three cases of microcephaly per year. 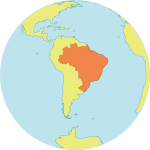 According to Brazil's Ministry of Health, nearly 600 cases of microcephaly have been confirmed in the country since October, and thousands of other potential cases remain under investigation. Before the Zika outbreak, there were an average of 163 cases per year nationwide. On 16 February, the WHO and PAHO announced a global Zika Strategic Response Framework and Joint Operations Plan. As part of this joint response, UNFPA will lead efforts to care for women and families affected by Zika and educate communities about transmission and the risks that accompany the virus. It is developing information kits about Zika prevention and care that primarily target pregnant women and women who plan to conceive. In addition, UNFPA is working with partners to increase access to contraceptives in impacted countries. A Spanish version of this article is available here.